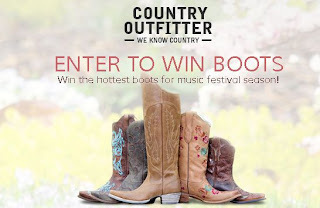 The winner of Country Outfitter's boot giveaway will be selected & announced on Facebook at Noon central time today! This is your last chance to enter, share, and win! Good luck! Click the link below to go to their Facebook page to click the link to enter.